Make sure that you always look your best with these grooming kit essentials that you should carry in your bag wherever you are. Don’t forget to bring a small kit that contains all the necessary items for emergency manicure and pedicure. 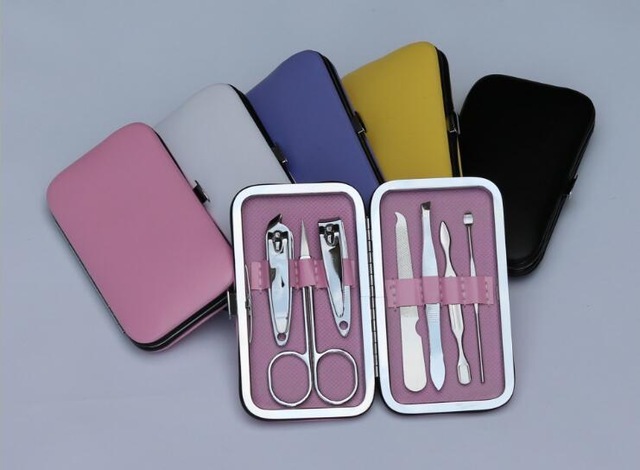 You can buy a set that comes with tiny pouch at health and beauty shops which includes the following items: compact nail clippers and nail nipper for cutting nails, nail file to smoothen and file nails, tweezers for pulling out hair and nail splinters, cuticle scissors or cuticle nipper, and nail cleaner. When you don’t have time to get waxed or sugared, and shaving isn’t an option for you, you should always take an epilator if you travel a lot. It’s a convenient item for removing hair from any part of the body, including the face, bikini area, and armpits. 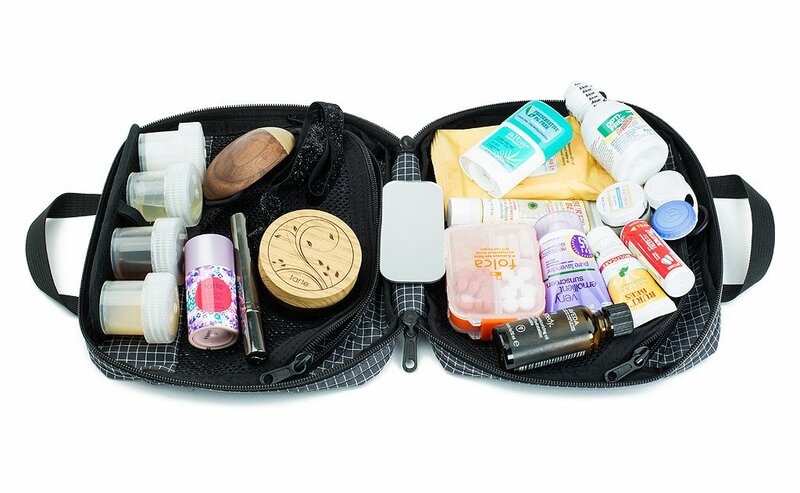 Always bring small packs of toiletries wherever you go because you never know when you need them. You can purchase compact versions at shops that include the following essentials: toothbrush and toothpaste, floss, shampoo and conditioner, bar of soap or shower gel, deodorant, washcloth, cotton pads, Q-tips, facial cleanser, tissue or moist towelettes, and sanitary pads. Besides a pack of essential toiletries, you should always take essential skin and hair products and items to always look your best no matter where you go. Don’t forget to pack the following before you go out: comb or brush, compact mirror, lotion, facial moisturizer, sunscreen, lip balm, hand cream, gel or leave-in conditioner, oil spray, body spray or perfume, and hair clips or hair tie. 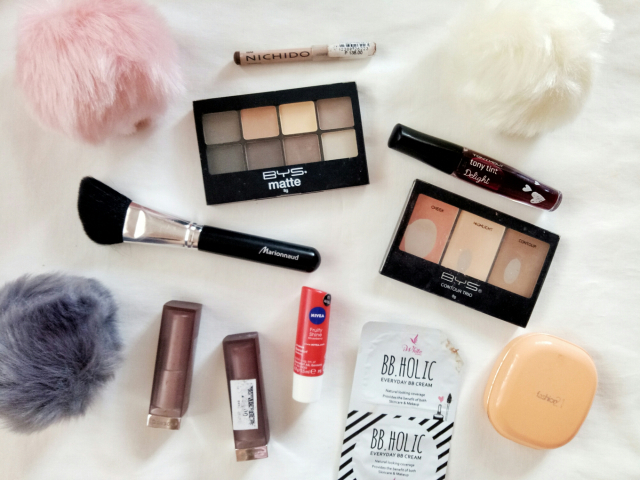 Lastly, you should always take a compact makeup kit that contains all the essentials for retouching your makeup. You never know when you need to spend more hours at work or when you get invited to dinner after spending the whole day at the office. Every woman should bring the following makeup essentials in her bag: foundation, pressed powder, concealer, eyeshadow, eyeliner, eyebrow pencil, mascara, eyelash curler, lip gloss, lipstick, and blush or bronzer. You should also take a makeup remover, facial wash and moisturizer, eye gel, and exfoliator in case you need to remove your makeup. You don’t need to lug around a large bag to pack all of these. You can find small and compact grooming kits or travel kits that will fit easily in your bag that includes most of these grooming essentials. Contact lenses are worn for various reasons: fashion purposes, eye treatments or just for fun look such as Halloween costumes. Whatever your purpose is for wearing them, it’s important to take good care of them to keep your eyes safe. Here are some common mistakes people make with their contact lenses. Ophthalmologists always advise to keep your contact lenses away from the water, including pool water, to avoid potentially blinding infection caused by the microorganism Acanthamoeba. Parasites and bacteria in the water can get caught under your lenses, too, which can cause painful infection that will likely require long and complex treatment. Even more dangerous than swimming with contacts on is cleaning your lenses using tap water. Even if the water is pure enough to drink, it is not sterile. Tap water may also contain Acanthamoeba, so soaking your lenses in water straight from the faucet is an invitation to serious infection. 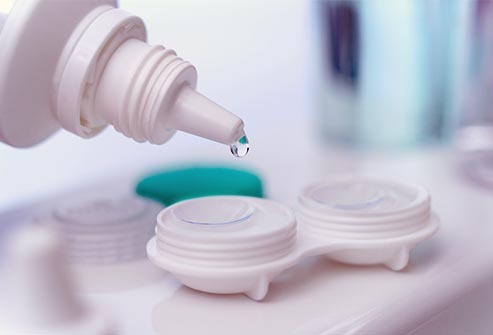 Contact lenses come with their own solution, so make use of it whenever you need to clean and store them. Your lens case should be cleaned thoroughly with lens solution every day, and must be replaced with new one every month. And don’t cut corners by popping your lens case in the dishwasher together with your used dishes. There are food particles and dish soap residues in there that may end up on your case and make their way to your lens. Simply clean the lens case with solution and let it try overnight. 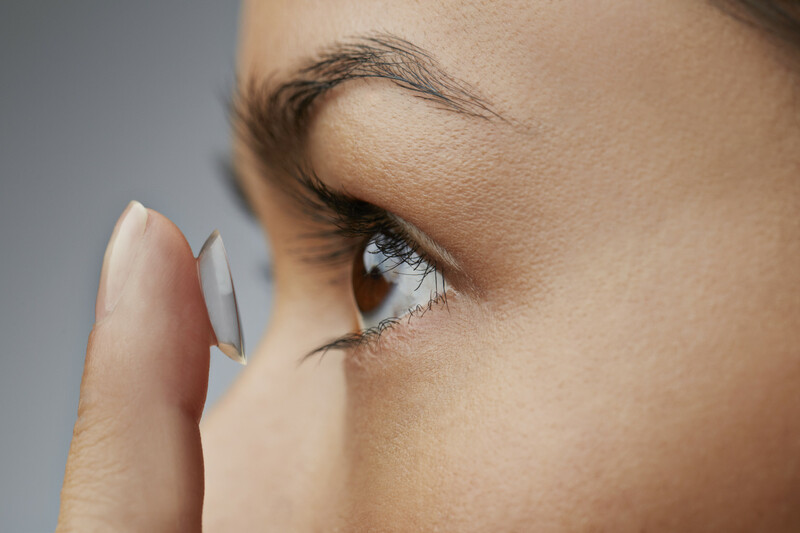 Most contact lens users are guilty of keeping their contacts longer than recommended span of time. This is similarly hazardous to an old lens case. Old contacts tend to collect germs, proteins and solution residues over time. This makes the lenses feel itchy and uncomfortable to the eyes, which may lead to infection. Although some contact lens manufacturers claim that it’s okay to sleep in their lenses, ophthalmologists never recommend this. The cornea, the outermost layer of your eye that the lens covers, needs oxygen. Wearing lenses deprives the eye of oxygen, and sleeping in them worsens the problem. Overnight wear can cause discomfort and irritation, or worse infection. 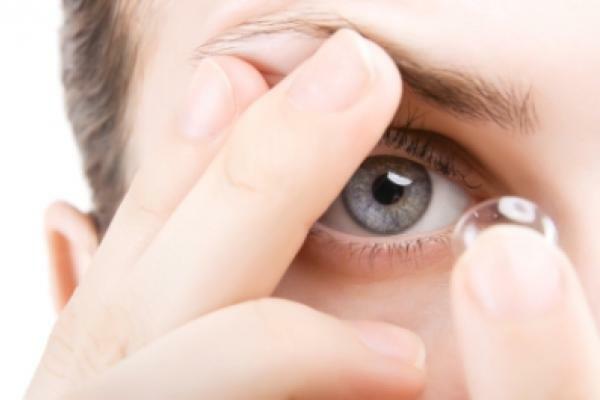 Before purchasing your next pair of contact lenses, make sure to keep these common mistakes in mind and follow professional advises for optimum eye health.